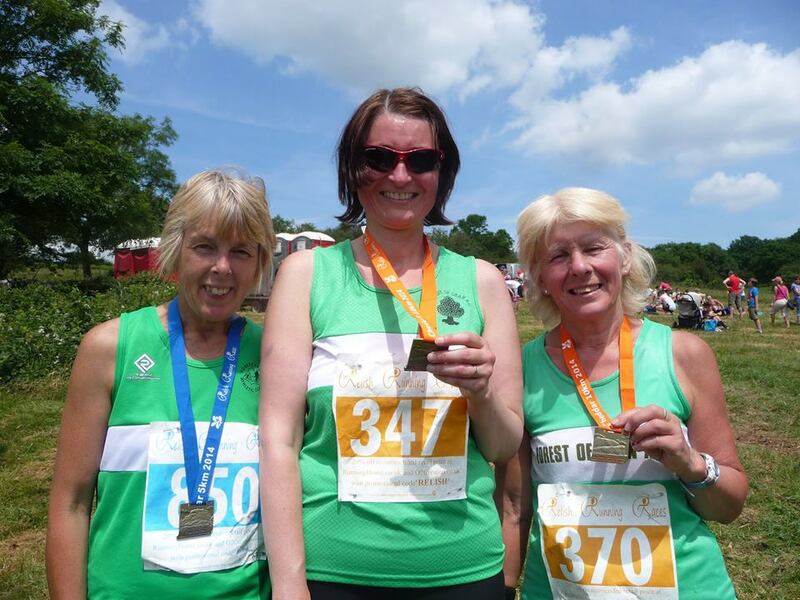 Wendy Lawrence writes: “Cheddar Gorge challenge races took place on Sunday 22nd June. The first challenge was to drive up a very steep hill, including across uneven ground – to the car park. Even though we started way up the gorge, we still ran uphill for the first 1k of the 10k race. After running down a very rocky, uneven lane, we then faced a steady 2k climb, including clambering over broken stone walls, while the hill between 7k and 8k was so steep that steps were cut into the hillside. Then came a narrow, rocky, very uneven path, a short steep climb at 9k, down a steep, twisty path, over 2 stiles and finally a steep rocky track up to the finish. On a very hot day, it was a real challenge. Many people did the whole thing again, plus an added hill, as they were doing the half marathon. In spite of running my slowest 10k ever, I was 2nd V50 lady to finish (there were 8 of us), Eva finished 4th in the VL40. Angela Sonn and Eva’s two sons ran the 5k race, which comprised the first 2k and the last 3k of the 10k race, so they had a very tough race too. There was also a 300m race for the kids, so there were lots of families there. We picnicked near the start/finish area, with stunning views looking out across the countryside.